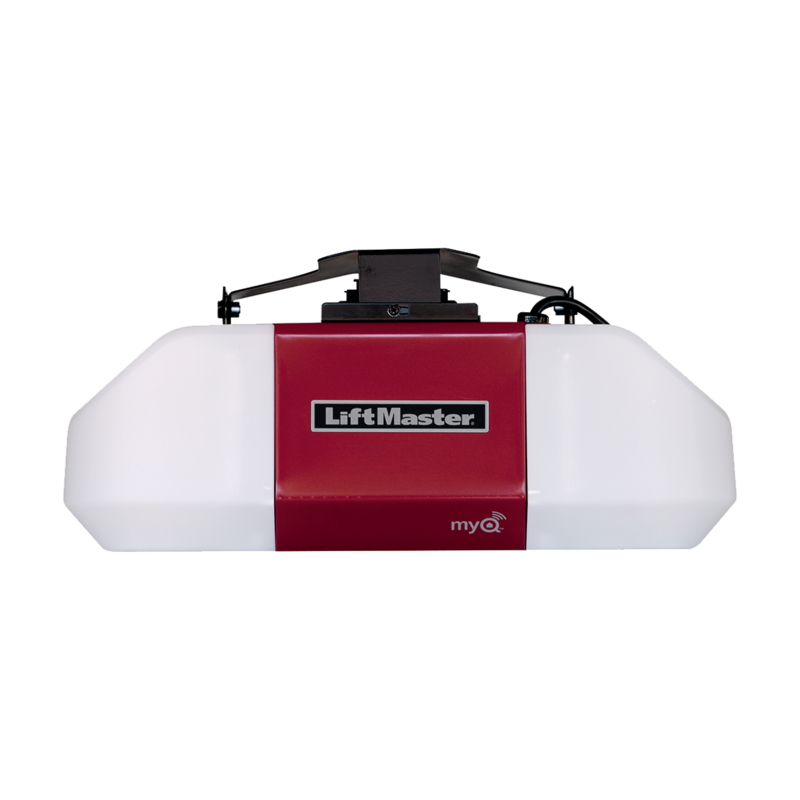 Sales and service of LiftMaster® brand products. Quality Door offers a complete line of residential and and commercial LiftMaster® garage door openers, remotes and accessories. Options include space-savers, higher HP for maximum lifting capacity, quiet operation and standby power system for full operation in the event of a power outage. This opener features a Battery Backup System that guarantees continuous operation even in the event of a power outage. It also features a soft start and slow stop to reduce noise during operation, making it perfect for installation in homes with a room above the garage. Motion sensing wall control turns the LED opener lights on as soon as you enter the garage and automatically turns off with built in timer. Built in MyQ with Wi-Fi allows for use via your smart phone, tablet or laptop. Rugged durability is what this opener from the Contractor Series has to offer. The 1/2 HP motor works with an industrial-strength chain drive to provide a consistently smooth and steady performance. Features MyQ® technology and Wi-Fi, allowing you to monitor and control your garage door opener and home lighting with a smartphone or computer. Model 8587W is an advanced trolley system light-duty trolley operator. It features an automatic safety reverse and door stop, a maximum run timer, a heavy-duty "I-beam" configured trolley track, and an auto-reconnect trolley. This MyQ opener has Wi-Fi and can be controlled from a smart phone.